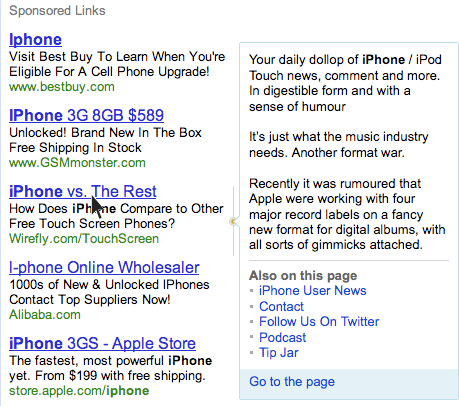 A week ago, we asked you if Google should use mouse overs to show more ad details. I made a screen shot of the concept, which I will repost below. The poll results are in and some of you want it and some of you don't. It is really split - with a 56% response rate of people wanting this feature and a 42% response rate of people not wanting this feature. Question: Do You Want Advertiser's Info In AdWords Mouse Overs? 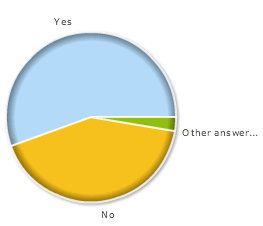 The other answers were basically one no, one yes and one undecided.